IHOP is offering a FREE short stack of buttermilk pancakes on March 12th! On IHOP Free Pancake Day, visit any IHOP restaurant and get a FREE short stack of their Original Buttermilk Pancakes. Then donate to help children battling critical illnesses. 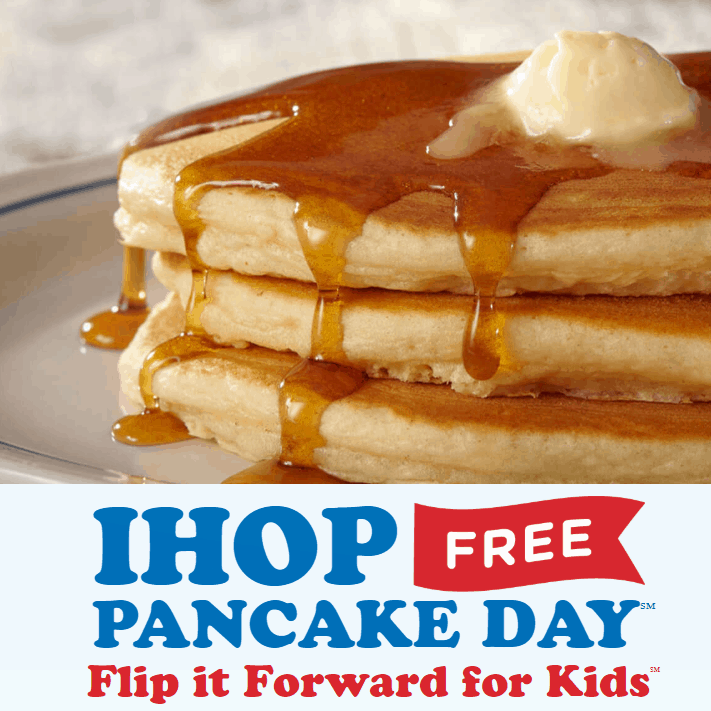 Each stack served on IHOP Free Pancake Day helps us flip it forward for kids in need. Doing good never tasted so good. « Free Mini Facial at JCPenney Sephora!